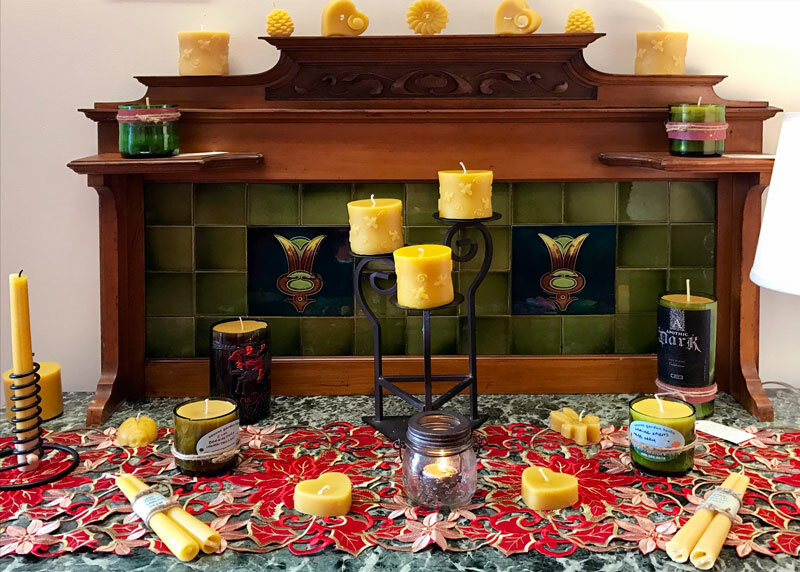 Secret Garden Beeswax candles are crafted from local and consciously sourced beeswax, cotton wicks, and nothing else. They carry the energy of the flowers from which the bees fed, burn with a light spectrum close to that of the sun, and clean the air by producing negative ions similar to those created by salt water at the beach. They burn cleanly, dripping rarely, and last an incredibly long time! 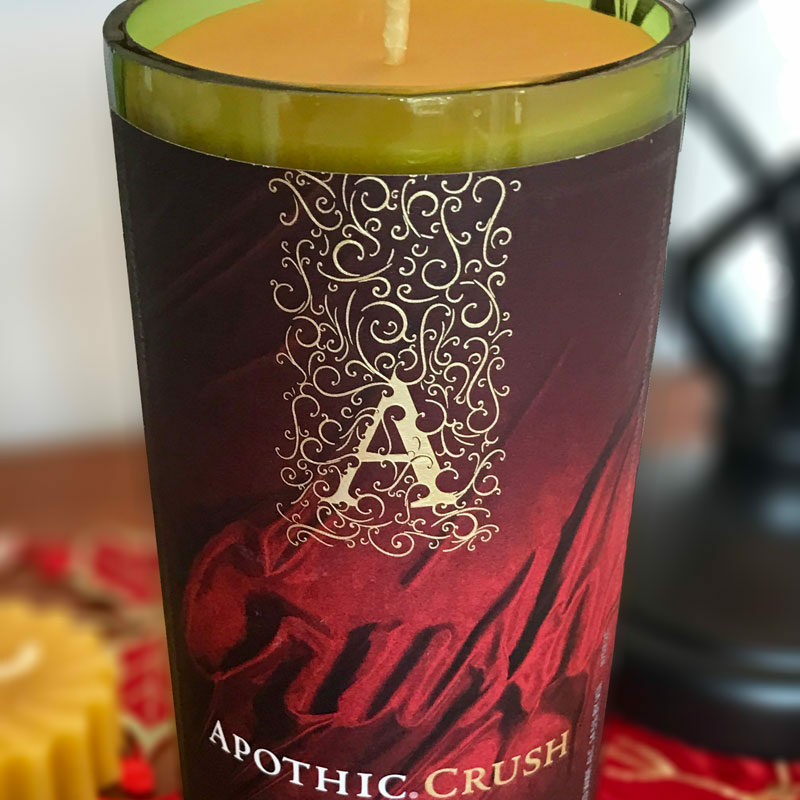 We pour our candles in recycled glass wine, cider and whisky bottles, as well as unique seasonal molds and tapers. 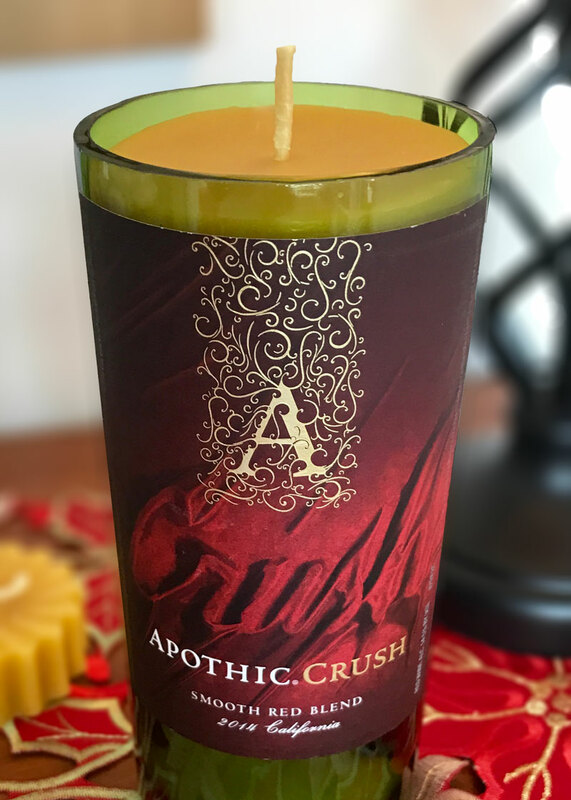 At the Secret Garden, we have candles in many shapes and sizes, so that you can experience the pure golden light beeswax candles add to your home!